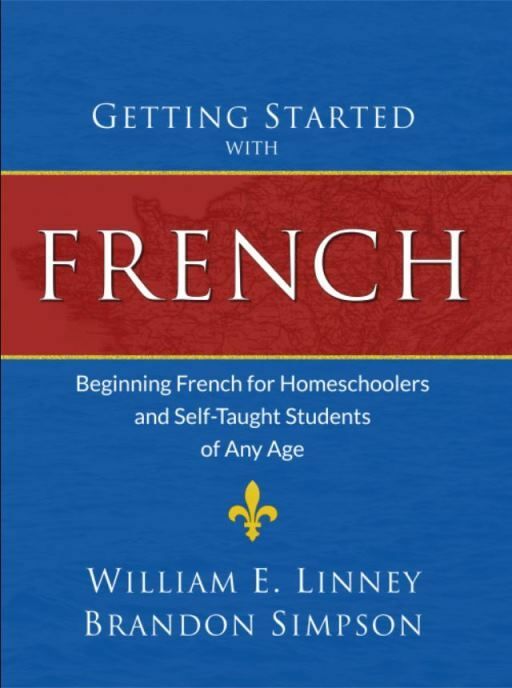 Getting Started with French by William E. Linney and Brandon Simpson is a softcover 281-page book that makes it simple for anyone who wants to begin speaking French. Armfield Academic Press's Getting Started with French includes a softcover book along with free access to downloadable resources on the Getting Started with French website. The first eight lessons are short and provide instruction about pronunciation and touch on some basic grammar information such as articles and noun genders. The first French word is introduced in lesson five and other words are continuously added throughout the course. Each lesson doesn’t include a new word. Some lessons focus on smooth pronunciation while other lessons dig deeper into French grammar like understanding the plural and singular articles. Each lesson that begins with a new word features the word, its meaning, and a pronunciation tip. There are also a few sentences or a paragraph that offers explanation about the word and its proper use. Most of the lessons have ten exercises to be completed to check comprehension. The answers to each assignment is found in the back of the book along with a pronunciation key. The sound recordings on the website are a must to use especially if you do not have an idea about the way the words or sentences should sound in French. They also help the speaker move through feeling uncomfortable when it comes to sounding inauthentic. How are we using Getting Started with French? My oldest daughter has been interested in learning French for years. I have downloaded books for her to listen to in French for the immersion factor, but as you may know learning a language solo can be difficult if there isn’t anyone to share it with which is why we are all learning French together using this curriculum. The first few lessons of the French homeschool program are really basic which made them easier to complete. Since the lessons are short, we set apart 15-30 minutes each day to go over the day’s lessons. Some lessons are repeated for more than one or two days because this program is mastery based. Since the complexity of the exercises becomes more challenging as the program progresses, the girls and I write out some of our assignments to help us make sure we understand, and by writing out our work we also have the opportunity to check it versus trying to go off our memory. If we make a mistake then we can see where our error lies. None of us are French speakers therefore the simple approach that Getting Started with French was pleasant. The encouragement at the beginning of the course freed us from feeling as if we needed to hurry along simply for the sake of completing the book. It is my hopes that we will complete Getting Started with French this school year, but it is understandable if we do not since some of the grammar elements will be new to us in both French and English. We look forward to adding a new language and more words to our knowledge banks using this homeschool foreign language curriculum program.